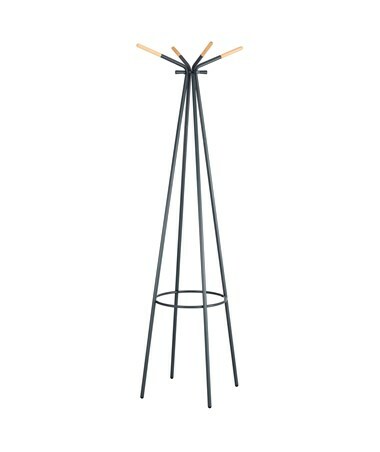 The Safco Family Coat Rack is an artistic-looking rack for hanging coats and other garments. It features four wood tip hooks and additional four steel hooks below it for a total of eight hooks and these hooks all have rounded edges to prevent damaging the garments. 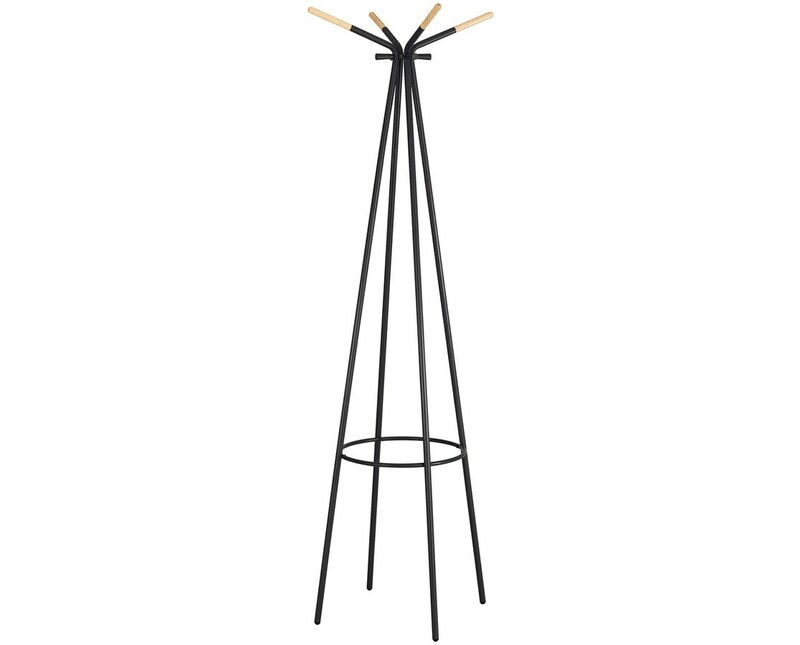 This rack stands 72 ¾-inches high on four tubular legs with floor protectors. Also included is a ring that serves as umbrella storage. 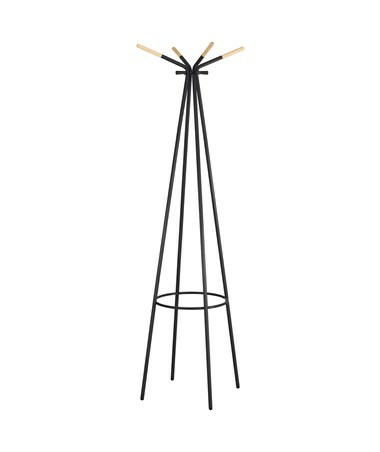 This coat holder is made of steel with a durable powder coat finish. The Safco Family Coat Rack is available in three different colors. Please select your preference from the drop-down menu above.